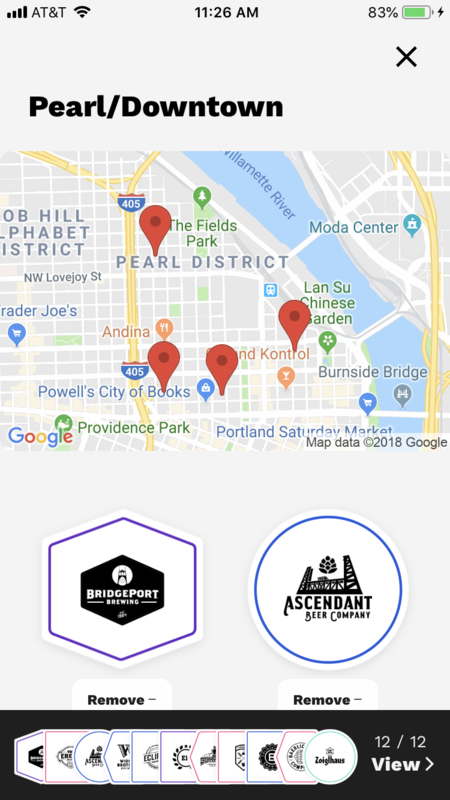 Pub crawling through some of Portland’s breweries just got a bit more affordable with a new app that has recently hit both Apple App Store and Google Play. 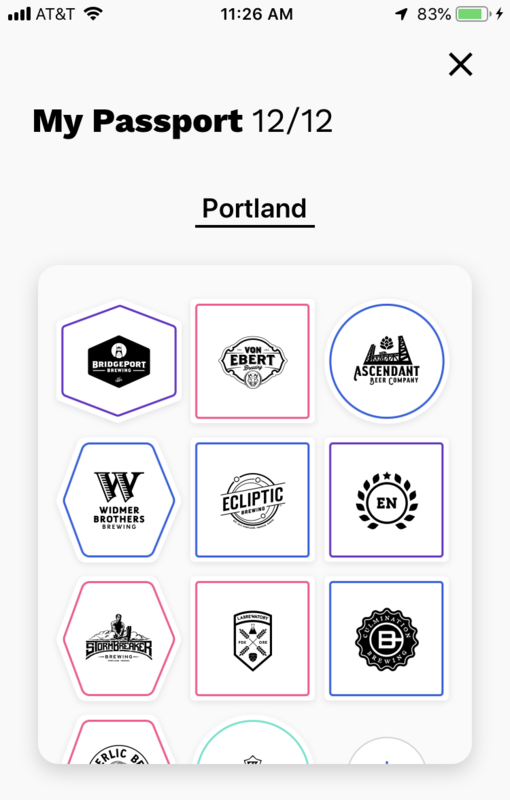 Passport on Tap is the new app that encourages you to venture out to visit many of the Portland area’s breweries and cideries for discounted pints or taster trays. The Portland Passport on Tap costs $40 and allows users to receive tastings at 12 different locations of their choice along with special offers from tasting partners. Not a bad deal on 12 pints or taster trays to make pub crawling more economical. Choose 12 of the 20 locations to be part of your Passport on Tap adventure. Passport on Tap – Pearl:Downtown map of participating breweries. Using the Passport on Tap app is very simple. 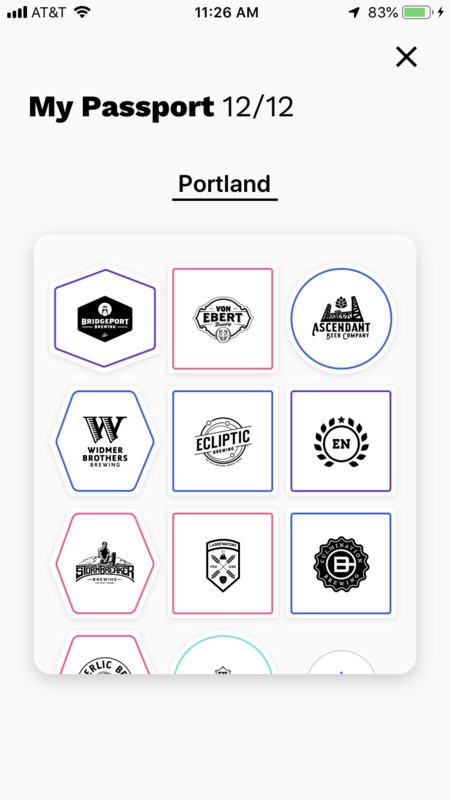 The app will present beer and cider tastings at 12 different locations of the user’s choosing throughout Portland. All 12 locations do not need to be selected at once – the user can choose all 12 or select as they go, adding and deleting locations at will before redemption. The choice is in the user’s hands, selecting 12 tastings from a curated list of 20+ options. Once a location is selected through the app and the guest is at the tap room, he or she will simply open the app to redeem the tasting. 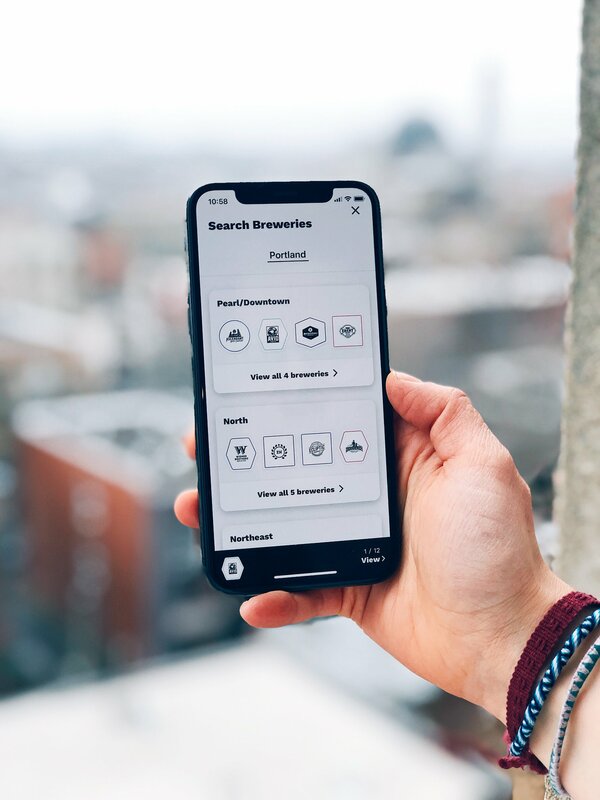 The app also automatically filters and suggests nearby tastings based on location, so users can create their own experience with the simple push of a button. We are told that future updates will allow users to filter locations by features such as dog-friendly, patios, and more. 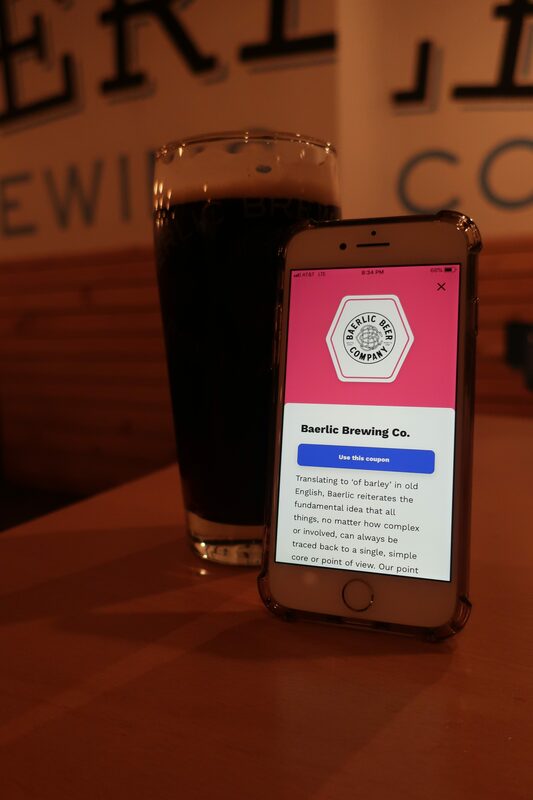 Using the Passport on Tap App at Baerlic Brewing in Portland, Oregon. “With more than 12 years of experience in the food, wine and beer touring business and plenty of research on how people – and especially Millennials – now prefer to travel and experience cities, we knew we had to meet our audience where they were – right at their fingertips,” said Passport on Tap Director of Development Terry Rice in a statement. “With the Passport on Tap app, locals can go at their own pace, visiting breweries and cider houses as they wish without constraints”. So grab your mobile device and download Portland’s Passport on Tap on either Apple App Store or Google Play for $40.00 and explore Portland’s beer and cider scene. The Passport on Tap tastings within the app are valid one year from date of purchase, so locals and visitors can save their food tastings for future excursions. For more information or to download the app, visit www.passportontap.com.